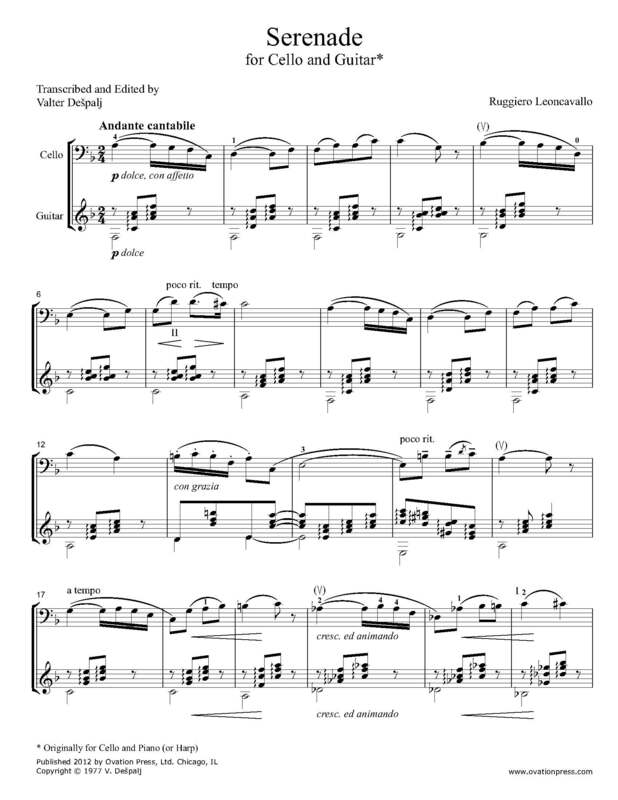 This Serenade by Leoncavallo was written originally for cello with piano or harp accompaniment. Its sentimental melody, with air of ''good old days'', is the essence of Italian vocal expression - listening to it one almost hears the words. It is beautiful in its simplicity and penetrates so well the soul of cello that one wonders why it did not gain more popularity with cellists. Click below to listen to Valter Dešpalj and guitarist Istvan Roemer performing Leoncavallo's Serenade transcribed for cello and guitar.